contest ends at Midnight Eastern Daylight Savings Time on April 14, 2019. All readers of the thread, including those posting captions, are encouraged to vote for any and all of the captions they appreciate by "LIKEing" them using the forum's LIKE feature. At the end of the contest period, the host will count the votes and report who won. In case of a tie the host gets to break the tie, but will not otherwise submit a caption or vote. Even if you do not submit an entry, please “like” any posts you feel deserve it as this is how the winner is chosen. And if you DO submit an entry, please also find an entry that you like from among your competitors' efforts and "like" that one as well. Enter often, vote more often. and most important: Have fun ! You can " vote " for more than one entry if you choose to do so. That was the source of Escher inspiration. This long-lost artifact from the Ray Harryhausen collection fetched in excess of three cents at a recent auction, Sotheby's reported on Thursday. Last edited by SpecialK; 04-11-2019 at 09:12 PM. Upon further reflection, I decided to not look for my golf ball. That was a really tasty photographer. I'm glad he was so busy focusing on that big bird that he didn't see me. Burp! On second thought, the 500mm should suffice. Word to the wise, let sleeping gators lie (exactly where they are)! Merv-O ran away with this contest as if a gator was chasing him. Look for his weekly contest soon. 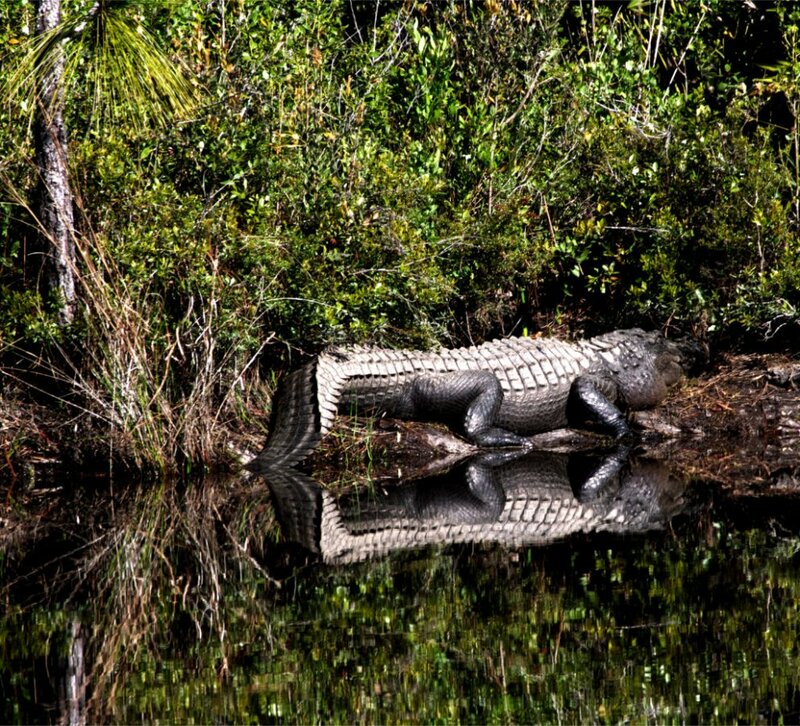 As a side note did anyone consider "Gator doing push-ups on a mirror." OK, maybe not great. Oh yeah, I thought the contributions were very good. Thank you to all that voted for my Caption...that really did happen to me in Floirida with a huge gator and an errant golf ball. The scary thing was I didn't notice the Alligator until it started moving. I hopped in the cart and took a generous penalty drop 100 yards down the fairway.....I mean come on? what would any of you had done?